My name is Matthew. I am a developer and designer with a keen interest in helping small businesses. I currently act as Cheif Technology Officer for Block Key Capital, a US-based research and investment firm dealing exclusively with the emerging cryptoasset class. Browse my past work and portfolio or get in touch with me by clicking the button below! I am pursuing a B.A. in Marketing at Miami University. I genuinely enjoy helping startup companies and organizations grow and scale. I offer help with logo design, branding, web+app development, SEO, viral marketing, and more. I am very involved in the cryptoasset and blockchain space. 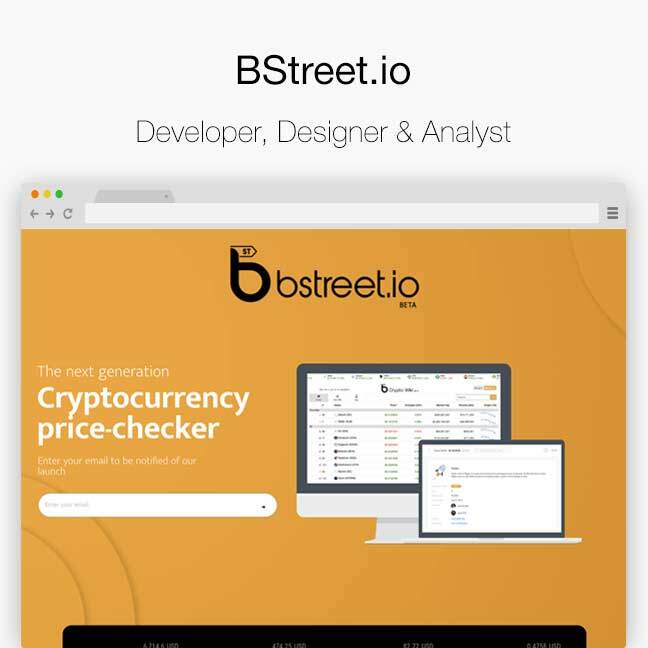 I have co-founded an investment fund and helped design a revolutionary crypto price checker. Additionally, I helped co-found Miami University's blockchain initiative and write curriculum for the university. I have over 5 years of professional web design experience. 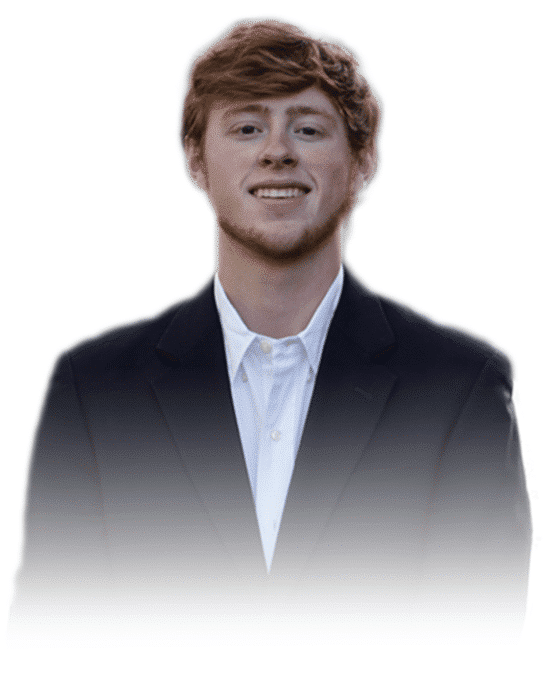 I interned at a local marketing company in my hometown and worked as a web developer. I was designing WordPress sites for customers and using HubSpot marketing automation. 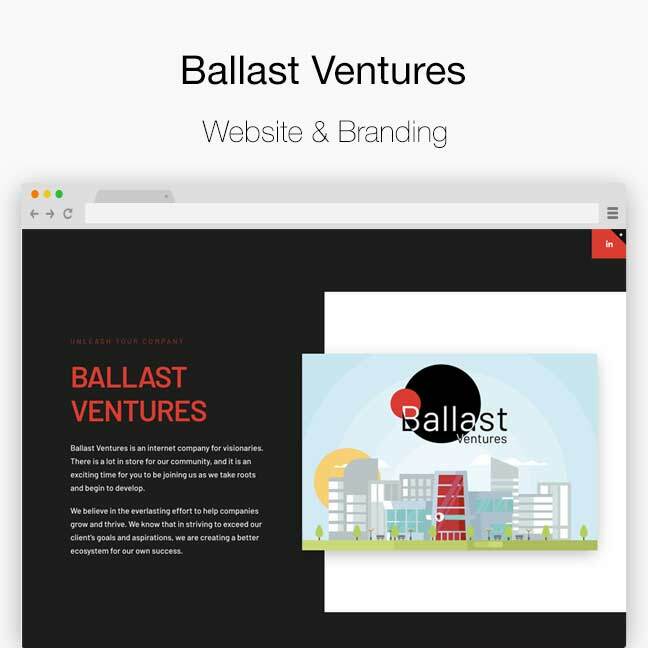 Ballast Ventures is an internet company for visionaries. This past summer, I assisted a seed-funded startup in partnership with Venture Capital Draper Dragon as their first intern. I collaborated in designing and developing a revolutionary cryptocurrency price-checking wiki. I headed the design and UI of the website and also built a landing page for beta registrations. I supported the team in all capacities ranging from company strategy to development. I researched cryptocurrencies; read through whitepapers and assessed each coin’s application of blockchain including P2P connection, middlemen fees, censorship resistance, and micro-payments. Block Key Capital (BKC) is a US-based research and investment firm dealing exclusively with the emerging cryptoasset class. BKC’s founding partners were first brought together while creating their university’s blockchain organization. Here they discovered a mutual passion and drive to be a part of the blockchain revolution. With more than 20 years of combined experience in the space, these eight like-minded individuals launched BKC Investments with the goal of providing exposure and education in this emerging asset class. I currently act as Cheif Technology Officer of Block Key Capital. Learn more on the website. 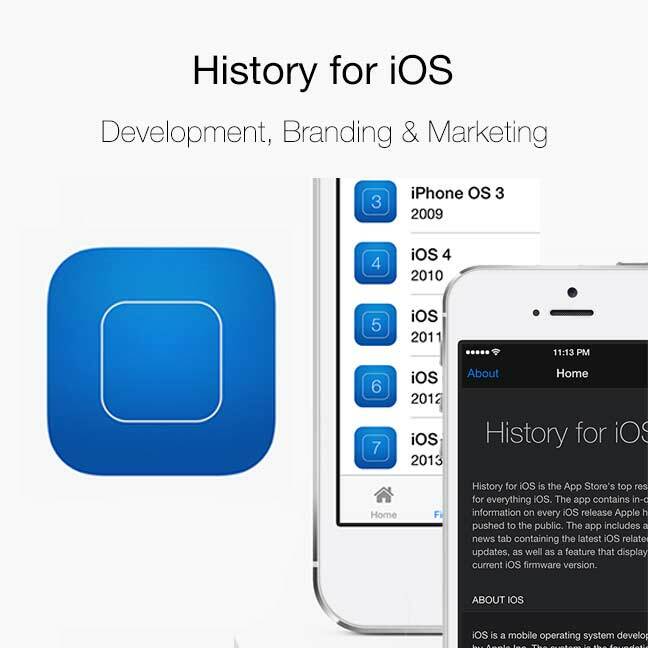 History for iOS is the App Store’s top resource for everything iOS. Every single iOS firmware release has been carefully indexed and detailed in this free resource. History for iOS is used by hundreds of users across the world daily wanting to learn more about Apple’s leading-edge operating system. The app includes a news tab containing the latest iOS related updates, as well as a page displaying the current iOS firmware version. History for iOS has recorded over 17,000 downloads since release in 2014. The app is used by hundreds of users around the world every day to learn more about Apple’s leading-edge operating system. As Press Relations head of Delta Chi, I am in charge of all of the apparel designs for the whole year. 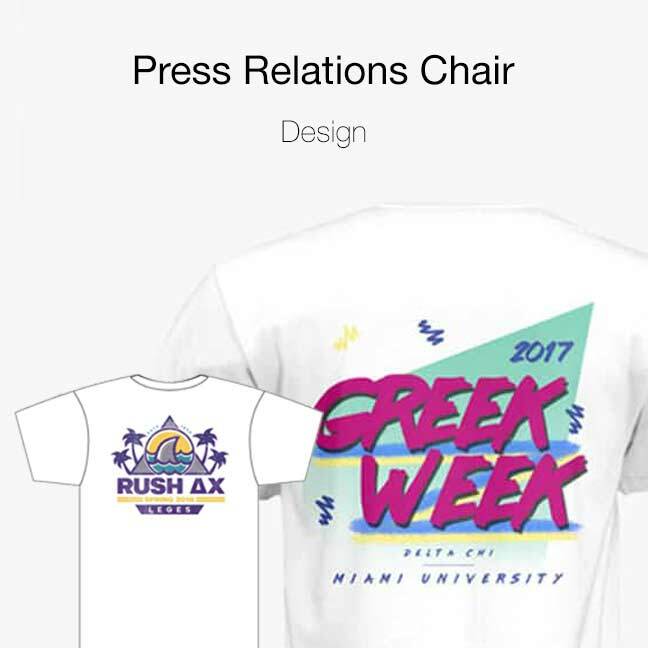 Miami University 2017 Greek Week was 90s themed and I drew inspiration from that era of design in the making of the shirt. Landshark is a favorite and a great logo aesthetic to draw from for apparel. 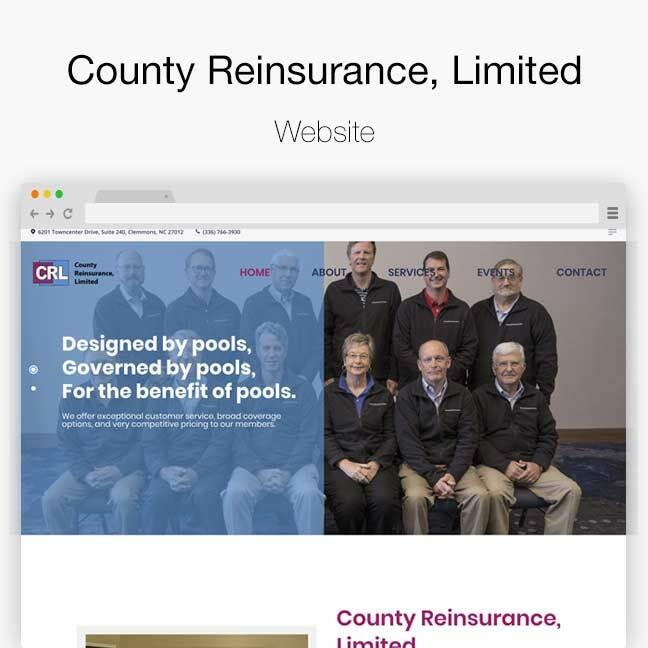 During my freshman year internship I was tasked with the full project of designing a site for County Reinsurance, Limited in Clemmons, NC. I worked on the site from start to finish and made all changes that were requested after proofing. I launched Tech Life Blog as I started my first year of high school. I had an idea to create this technology and product reviews blog that people could go to and find the latest and coolest internet stuff. It was pretty successful. I have been working as a freelance developer for various companies and organizations for many years and have worked in a web designer role for a local marketing agency. In June of 2014, my first app History for iOS was released on the App Store. It was my first venture into iOS app development. I am currently working on my second application slated for a 2019 release date. 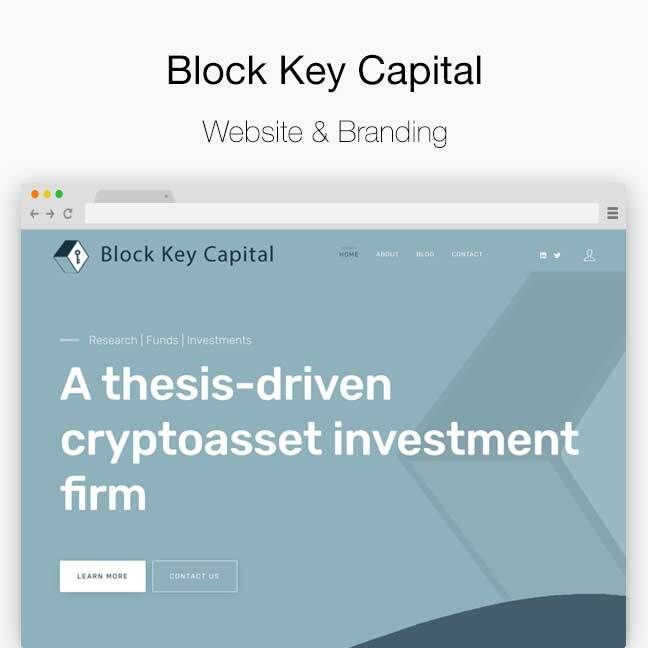 Block Key Capital (BKC) is a US-based research and investment firm dealing exclusively with the emerging cryptoasset class. I act as Cheif Technology Officer and Managing Partner. This past summer, I assisted a seed-funded startup in partnership with Venture Capital Draper Dragon as their first intern. I assisted in designing and developing a revolutionary cryptocurrency price-checking wiki while staying at Draper University in San Mateo, CA. or just send me a message.